Michael also undertakes economic consultancy work for NERA Economic Consulting and other bodies, including the OECD and the World Bank, and often with academic team members. This has included recent work for the Department of Transport and the Health and Safety Executive on the valuation of fatality and injury risks, for the Department for Environment, Food and Rural Affairs (Defra) on the monetisation of climate change adaptation costs, and for the government Social Impacts Task Force on the handling of non-monetisable factors alongside cost benefit analysis. Michael worked for ten years as a physicist/engineer in the nuclear industry before joining the civil service as a principal scientific officer. He is still a Chartered Physicist. From 1984 to 1995, he headed the public expenditure economics group in HM Treasury, with a secondment from 1991 to 1993 as Chief Economist at the Department of Transport. Michael was, for many years, until 2010, a member of an NAO expert panel on Regulatory Reform. He now maintains regular contact with economists in the Treasury and other UK government departments, mainly on issues of appraisal methodology. 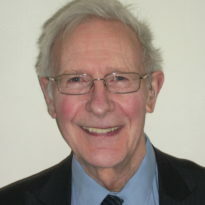 He is a practitioner member of the review group of the ESRC network for integrated behavioural studies. Michael has an MA in Physics from Cambridge University and an MSc in Economics from Queen Mary, University of London. Relationships between the worlds of decision analysis and economics, and how their application, and mutual comprehension of their respective strengths and limitations, might be improved, at least within government.